The chief aim and purpose of humanity and of all creation is to bring glory to God. The glory of God is ultimate. The scriptures share the wonderful news that God is glorified through the Gospel of Jesus and the resulting changed lives. Life change is both an event (salvation) and a process (sanctification). When we use the word Gospel, we mean the historic Gospel of Jesus Christ crucified and resurrected. This Gospel is more than a collection of facts to be believed. It is also the good and true story that Jesus died and rose to defeat sin, death and evil in order to make all things new. As the only person capable of such an act, Jesus is the rightful Lord over every square inch of the universe. This “Jesus is Lord” Gospel is the fuel for and the focus of everything we are and everything we do. We want to be a church that’s not over programmed or event driven, but that focuses on being Jesus’ church on his mission. 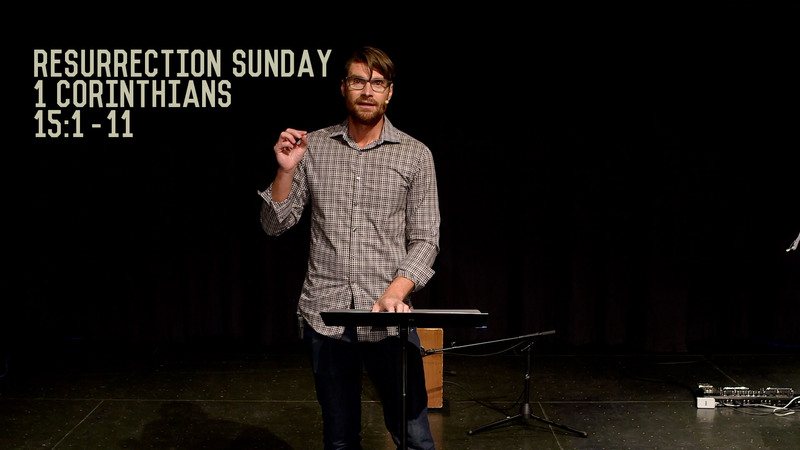 So we gather on Sundays (in the morning in Saskatoon at the Scotiabank Theatre – formerly the Galaxy Theatre; and in Warman at the Legends Centre) and then scatter during the week to live out our Gospel identity as a family of missionary servants called to make disciples who make disciples.